Josie's Bike Life: The Beauty of Supporting Local Businesses. 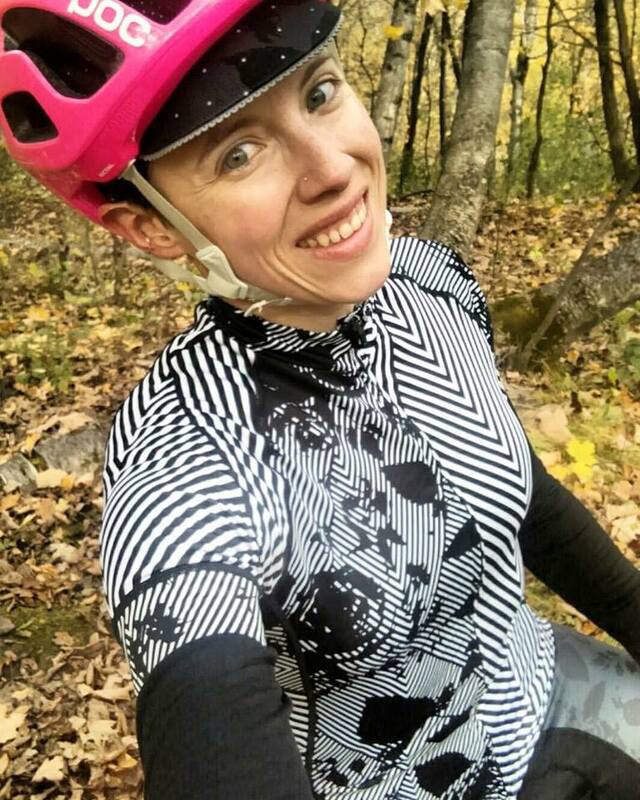 I transitioned in 2015 from working for a business to becoming the right-hand woman at a small, brick and mortar bike shop. This was a decision that wasn't made lightly, but one that I knew would bring forth great opportunities to learn, grow, and better serve the community. When you go from the predictable comfort of working for a larger business to start working as a two-4 person team, you lose that shell that protected you from the "real world" and you get a very insightful and sometimes nerve-wracking perspective on what it's like to be part of a small business. Especially when that small business is seasonal and you go from being as busy as the Co-Op on a MAD sale day to literally not seeing one other human walk thru the door for 8 hours. It is daunting at times. "What" and "If" are mentioned a lot. The period of time when the riding season seems to end abruptly for most of the population seems to happen overnight. We go from having foot traffic and rentals to literally nothing in less than 24 hours. Bikes stop coming in for service work, folks aren't buying bikes or accessories. It is as if cycling, in general, has gone on hiatus. We know it's the weather; that dismal time when it's not winter but feels bone-chilling cold outside. Everyone huddles indoors during this time period, saying "If there was snow, I'd be fine" as it seems virtually impossible to recreate when it's cold and not a winter wonderland. I am the perpetual optimist and take the time to learn more about how to do a better job with social media, our website, and blogging. We also have time to start training new hires and get (in general) a lot of good things done, like prepping the store for winter recreation. I know that once the snow flies, we'll have folks coming in again to rent skis, snowshoes, ice skates, and fatbikes for wintertime fun. The holidays will come and folks will stop in and either look for the perfect accessory or item to purchase for their husband/wife/best friend. Sometimes you'll still find parents or grandparents coming in to purchase that coveted new bike for a child. Those times are very exciting because it might be, possibly, their first "Bike Shop" bike! Last year I made it a focus to shop as local as possible for gifts. These are tumultuous times that we're in, and I feel that everyone feels a bit strapped emotionally and mentally. In the eyes of a small business owner, I feel that keeping dollars local as much as possible is very important for our community. We've heard it over and over again this year from various sources stating how wonderful, awesome, scenic, beautiful, and welcoming Decorah is. We need to, as a community, keep it that way. We can't always rely on tourism to keep our shops afloat- we shouldn't...we can't...have tourism as our only source of income. What happens when tourism slows down? What if we have flooding again like we did in '16 that impacted heavily on our recreational resources? We need to remember that we, as a community, need our businesses to thrive- not simply survive. On that note, like last year, I am going to do my best to make my gift buying for the holidays local. With saying local, I mean literally buying in the Decorah community. If I'm purchasing a book for my mom, I'll order it at Dragonfly Books. If I'm purchasing some warm socks, I'll go to the Decorah Hatchery. If I'm purchasing some bread or soup mix, I'll go to Pinters. Maybe I'll gift the gift of craft beer, thus I'll go to Pulpit Rock Brewery or Toppling Goliath. If I'm purchasing some chocolate or other fun treats like essential oils, I'll go to the Co-Op. We've all done it at some point in time. We've gone to the beloved computer and plugged in the item we're looking for and purchased it online due to convenience. You save the hassle of having to talk to someone. You sometimes save dollars and cents. You don't have to wait forever to get the item when you order it. You can stay in your pajamas with your cat on your lap, sipping coffee, and not step foot outside if you didn't want to. Yes. Online can be convenient. Online can provide low pricing. Online can't do things for you that your local businesses can. Shopping local provides you an experience. Of course, you have to want that experience and appreciate it in order for it to be important. Some businesses are not as affected by online shopping as others, for example, I wouldn't go online and purchase a tattoo gun to give myself my own ink. Unless you like being hands on, you'll still go to someone for vehicle maintenance. I don't think too many folks try to give themselves a dental cleaning at home. Most of those jobs are service jobs. However, every small business I know is part of the service industry in some way. Shopping online is seriously one of those things that's "too good to be true." We cannot always compete with the prices you see and we need to charge sales tax. We know that folks don't always understand, but those dollars don't "just" go into our pockets. What do your local dollars go to when you purchase items at a small business? Bills. Loads of bills. You're looking at electricity, possibly gas, insurance, phone/internet, and any bill that comes from ordering in inventory. Bills. Anything from electric to gas, Dr. bills to the Internet, and everything in-between. You may say "Well, it's their choice to own a business vs. work for someone." Yes, you're right. It is a choice that we decided to provide you an opportunity to stay in town vs. drive to La Crosse or Rochester to go book shopping. A store providing you the gear and clothing to go on adventures chose to exist so you could come into the building to purchase your favorite Patagonia/Outdoor Research apparel without having to go online or out of town. A small Co-Op has grown into a larger entity with the same mission as they had from the start- to have a location where folks could easily go to purchase local, organic, and wholesome food. The list goes on. Next time, ask why someone started the business they did and what their hopes are for their community by having that business exist. We are damn lucky to be in the town we're in. Really, compared to some towns I've visited, we are so extremely fortunate to have our town as OUR town. I'm saying this as a person who calls Decorah home and as one half of a small business which is a bike shop. We are a business that provides you the opportunity to explore outside of town, inside town, and promotes a more healthful lifestyle. Bikes, man. Bikes are a good thing. No one ever said owning a business was easy. I would imagine many have gone into business ownership knowing that they can't look at it with rose-colored glasses, even if they might want to. All we can do is hope that our customer service, knowledge, and dedication to our business will bring forth a solid consumer base that can help us keep doing what we hope to do for years to come, even if they are purchase things online. Our mission is simple, to get more folks on bikes and to keep things working mechanically for them. From personal experience, I know it can be daunting to walk into a bike shop. You have no idea what experience you'll have. You probably don't want sales shoved down your throat and you might not really have any idea what you need. I walked into two bike shops as the person who knew they needed a bike but had no idea where to start. Many would rather avoid conversation and simply gravitate towards something that looks pretty/cool but might not be the right size or right type of bike for their needs. I'm someone who likes to just go in, purchase what I want, and leave. With some things, you can get to that point once you have some things figured out- but it can take awhile to get there. We want to help and do so in a kind, respectful, and encouraging fashion...we're excited for you! It might be #newbikeday for you and we're so stoked to be part of it! Our goal isn't to sell you the most expensive bike or product in the store. Our mission is to find you the best product or bike that meets your needs and will suit the experience you're wishing to have. However, sometimes that can be challenging because we might not have it in the store that day. So, if you're looking around and not seeing what you were hoping to see, but not willing to talk with us- we can't easily tell you that we can very likely order in that bike or accessory for you. If we order an accessory for you, you might get it the very next day. Literally. No joke! Most bikes arrive within 2-3 days after we place the order. We also try to get bikes that are ordered in for folks built within 24 hours. You aren't waiting months, you may not even be waiting weeks. You might literally be waiting 24 hours to 4 days and I've waited longer than that when I would order items on Amazon to get free shipping because I'm not a Prime member. I've waited less than 4 days to get a book in from Dragonfly books! I've had similar wait times ordering something from the Decorah Hatchery! Yeah! For service work this year, even with RAGBRAI happening so close to us, we maintained a 48 hour or less turnaround time. We were so stoked to say to folks that they wouldn't be waiting weeks for their bike to get done! We were able to maintain that turnaround even with building bikes for folks, awesome! The retail experience when purchasing a bicycle is hands-on and sometimes it can be stressful because yes- you have to ride bikes. However, we do what we can to make the experience as painless as possible. We've been there, we've bought bikes before, and we know that it can be a process. For some, the concept of renting a bike for a week or a month helps make the choice come easier. Especially if it's a mountain bike or a fatbike. Did you know that if you rent from us for a month you have up to 30 days after you return the bike to use 100% of your rental dollars off the purchase of a bike? We are passionate about helping you make the best decision for your biking needs. We're happy to talk to you in store, on the phone, or even email! Whatever it takes. We're here for you! We also stand strong by being involved in the cycling community either locally or elsewhere so you may have noticed some closures so we could attend some cycling events. We believe it's important for us to establish and maintain comradery with our riding community and riders in other areas by doing the thing we love most: biking! Helped out at the Park and Rec Mountain Biking class for kids with fellow DHPT volunteers. Hosted Sunday Mountain Bike group rides. 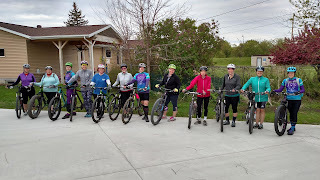 Hosted Fearless Women of Dirt women's nights and Fearless Women of Dirt specific group rides. Hosted a couple FWD Mother/Daughter rides that were successful, and will happen again next year. We closed up shop to ride with our friends during the Decorah Time Trials. We took a pilgrimage with our local cycling friends to Chequamegon. 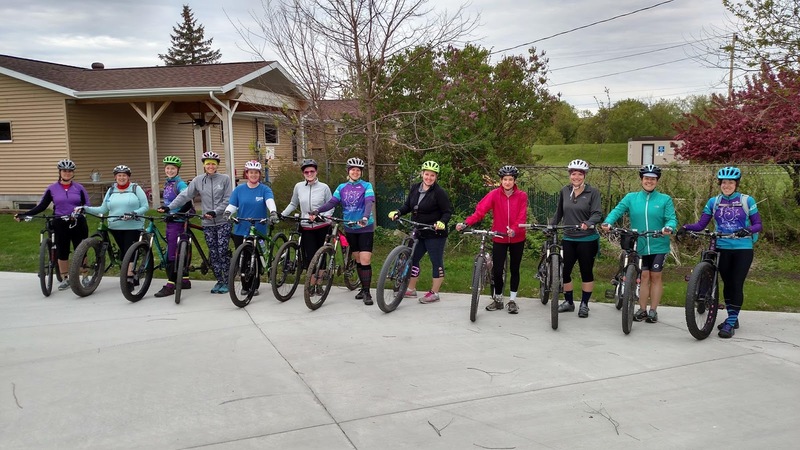 We closed up to share the love of mountain biking with our friends in Viroqua at the PertNear 20, which raises money for their mountain bike trail system. Bike shops don't exist just to sell you a product or service; they help to build up a sense of community. We see the social bonding and strength that comes from investing our time in our cycling community and we hope you do, too. Community is the glue that keeps us together. We hope you continue to support us and visit us throughout the coming years as we do our best to continue supporting the wonderful cycling community that Decorah has. Biking isn't just something to do for "fun" it is also a lifestyle. Not only is it good for your body and mind, but it's beneficial for the planet. It's an easy way to transport yourself around town, but can also take you on adventures further away. You can take cycling with you, wherever you go! We are so fortunate to live in Decorah and have this wonderful mecca of outdoor recreation so close to home. We have a beautiful downtown with thriving businesses, fantastic restaurants, and a glorious library. The list goes on with all of the features that make Decorah a wonderful place to call home. It isn't to say that economic stresses do not affect folks in Decorah, I know they do- and that is a constant worry. However, from my personal perspective, it seems we always have a way of making it thru. With the strength of our community and love of our local economy- I believe we'll be around for a very long, long time. Thank you for the support that you've given us over the years- from the very start until now. I'm new to the Decorah Bicycles community, but I greatly appreciate the opportunity given for me to make my own niche in the cycling community. Support local, because local supports you!